SKU: gr101. 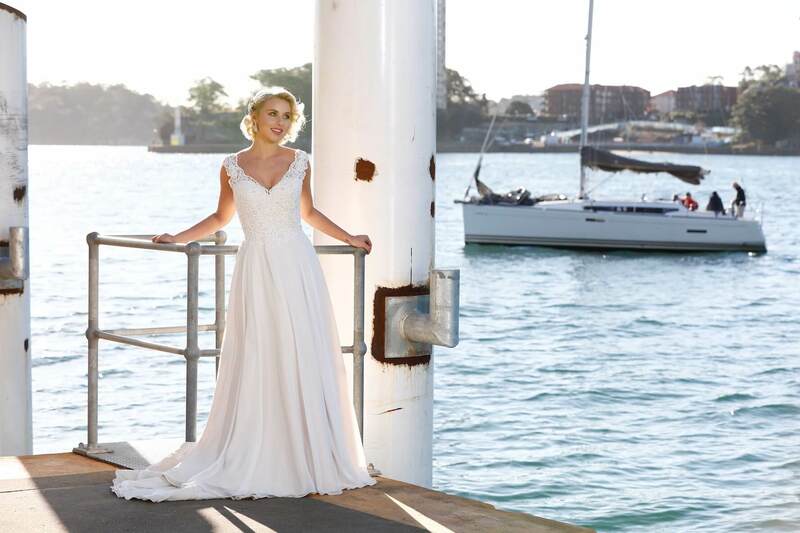 Categories: A-Line, Bridal Gowns, Curvaceous Brides. 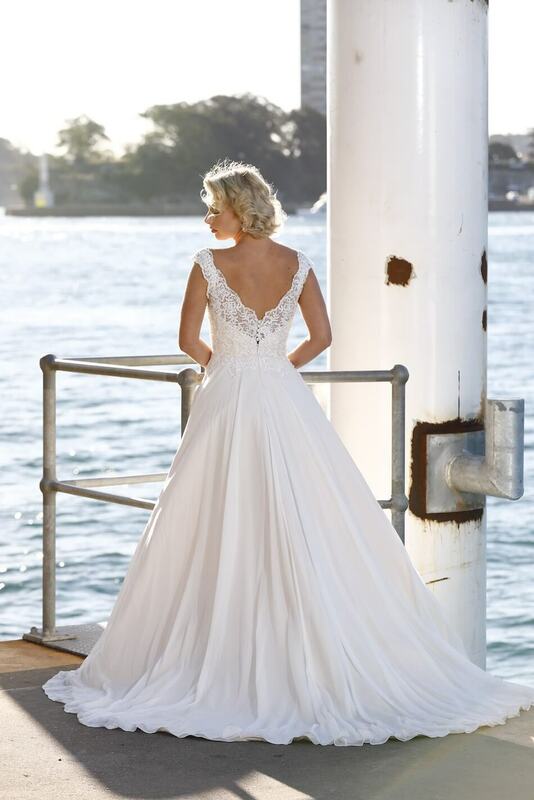 Gorgeous fitted lace bodice with V neckline and soft flowing chiffon skirt.